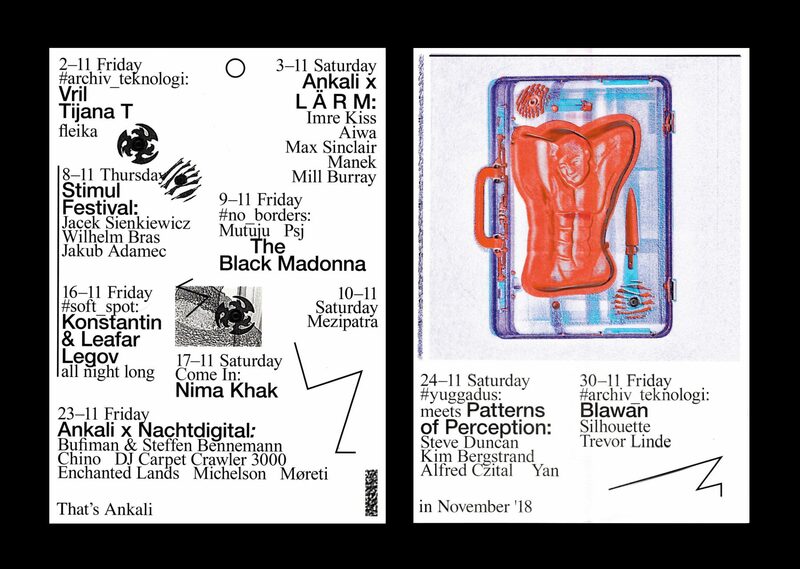 Dystopian is one of the most beloved techno labels of today and on Friday Nov 2nd we’re hosting another showcase of theirs in Ankali. Lined up for the night are Tijana T, Vril and fleika. The hard hitting and widely echoing sound of Vril initially spread in early 2010s via his home label Giegling, and in the following years a string of ecstatic EPs and albums followed, released via Delsin, Semantica, Forum – and Dystopian. Chances are you’ve heard him at one of the most memorable Polygon parties back in 2015, we’re psyched to see how his live set evolved over the years. Taking over from him for an extended set will be a Dystopian-affiliated selector and one of the key figures of Serbian electronic scene Tijana T. Warming up the floor will be local hypnotizer fleika.